Audition Required: No audition required unless applying for financial aid. Age range: This program is open to students who are currently in grades 5–8. Mailed applications will be accepted beginning December 1st, 2018. This year's production will be...Seussical, Jr.! For questions, please contact our office at academy@okcu.edu or (405) 208-5410. 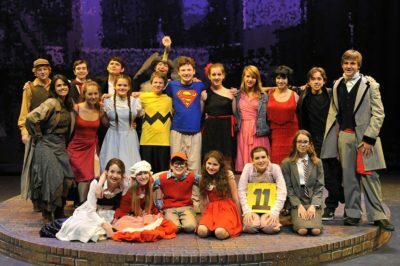 The Junior High Music Theater Program draws students from all over the nation. It is a two-week residential program specifically designed for students who have an interest in the arts and want to cultivate their artistic talents. 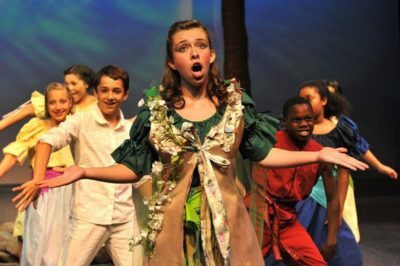 Our acclaimed program provides students with an exciting introduction to musical theater. Students will explore the foundations of musical theater through acting, singing and dancing under the guidance of our talented, caring and experienced staff. 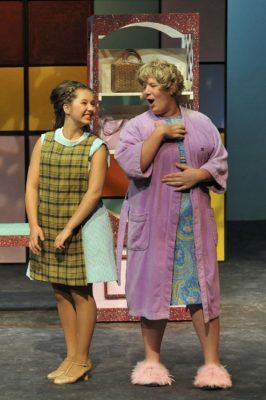 Students will be in rehearsals for the fully staged musical production for most of their day, but will also enjoy classes in dance, acting, and special topics related to music theater. All students will perform in the fully staged musical at the end of the session. No audition is required to be admitted to the program (unless applying for financial aid). Acceptances will be made on a first applied basis. Applications received after sessions become full will be placed on a waiting list. To apply, please click here. Once you are registered with getacceptd.com, simply create your profile and Acceptd will walk you through the application process. This will include uploading your headshot (school photo is fine), resume of any performance experience, and audition (ONLY if applying for financial aid). A $50 application fee is required to submit your summer application. It is fine if you have little or no previous experience. Receive a $100 discount when a friend you've referred has registered to attend the Junior High Music Theater Program! Make sure they put your name on their application under "How did You First Learn About the OCU Summer Music Programs" in order to receive the discount! If a student wishes to be considered for financial aid they must submit an audition Junior high audition requirements are two musical theater songs of your choice to be sung with piano accompaniment. You may substitute an art, folk, or classical song for one of the selections. Applicants should be recorded live with piano accompaniment (no backing/karaoke tracks). Recordings of live stage performances/shows are not acceptable. Financial aid applicants must fill out the financial aid section on the registration form and submit all requested documents. Please note that financial aid is limited and not guaranteed. Early application is suggested. Please see Summer Tuition and Policies for submission deadlines.